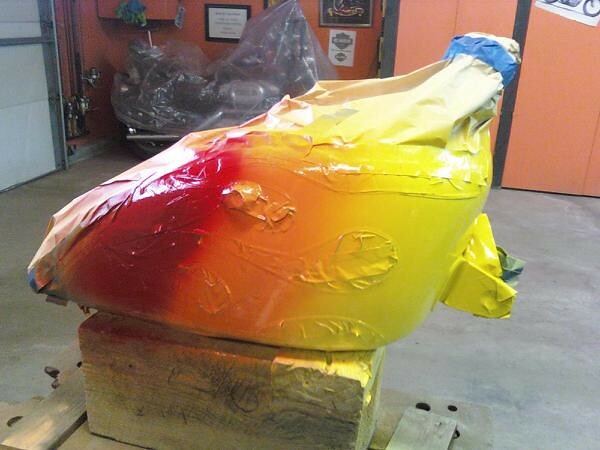 "I have always been a Harley guy and thinking about building a bike for awhile but couldn't afford the big bucks you see going into the big bikes. 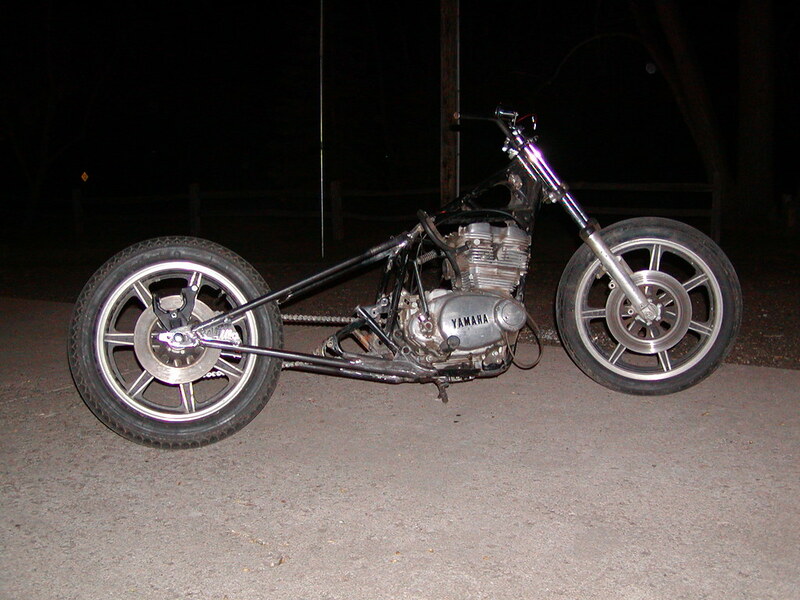 I have always been into the old school chopper and wanted to really try to make one. 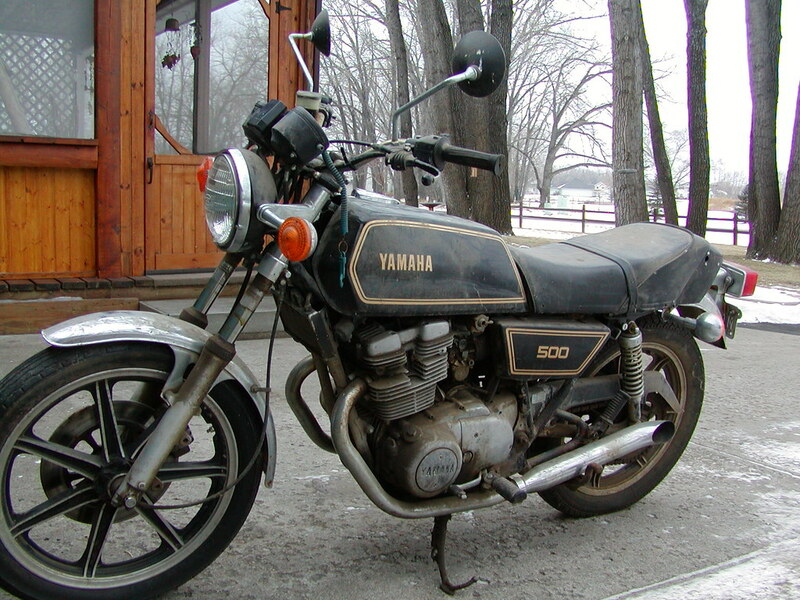 I found this 1978 XS500E through a friend. Yes it was in a barn and the guy had to remove the nails to get it out. It was in there for 6 years. 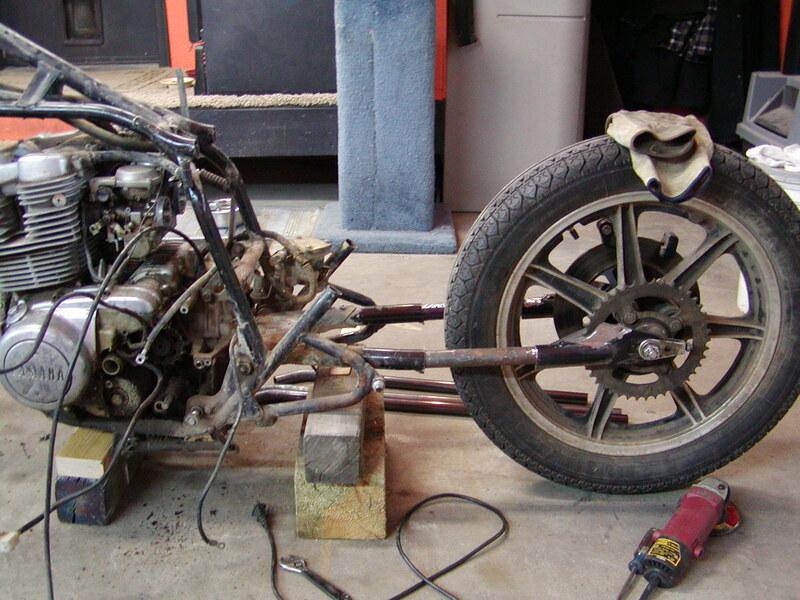 it was the perfect project bike for me because of the dual disc brakes and the chain drive. 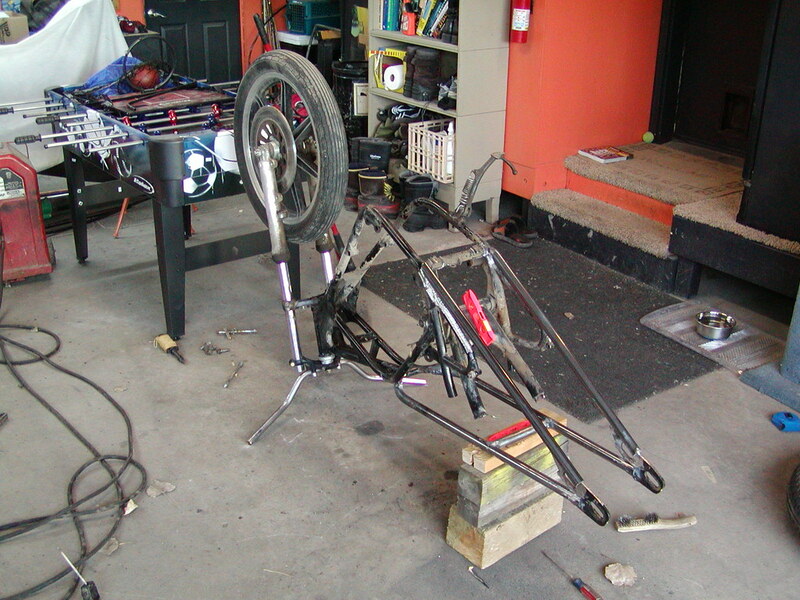 These are easy to modify when stretching the frame. I got it home, made sure it ran then stripped it down. First I stretched the frame seven inches. I wanted to get that long low look and also I'm I tall guy so it had to fit me. I taught my daughter how to weld and she helped me with the frame. I used a stick welder and a cheap hand grinder to do all the modifications. 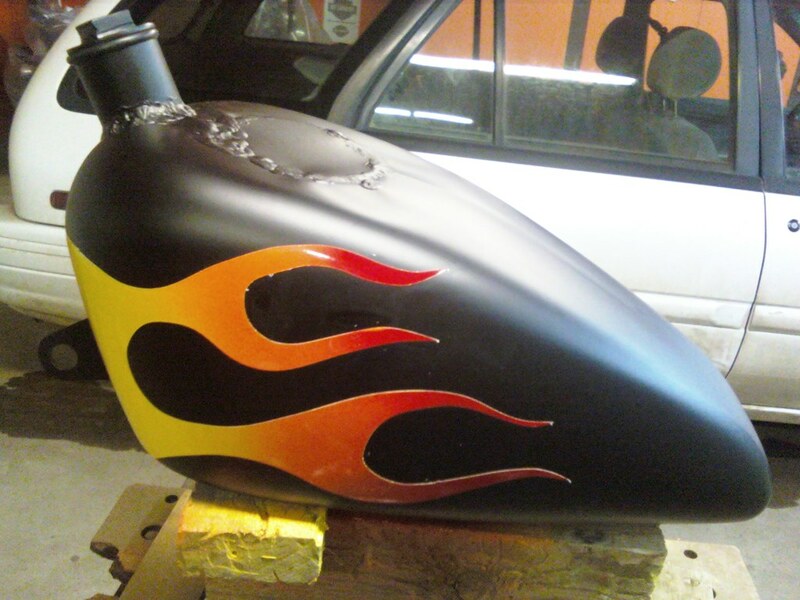 I put a Harley Sportster tank on it and then I took a shovel out of my garden shed and beat out a seat pan. 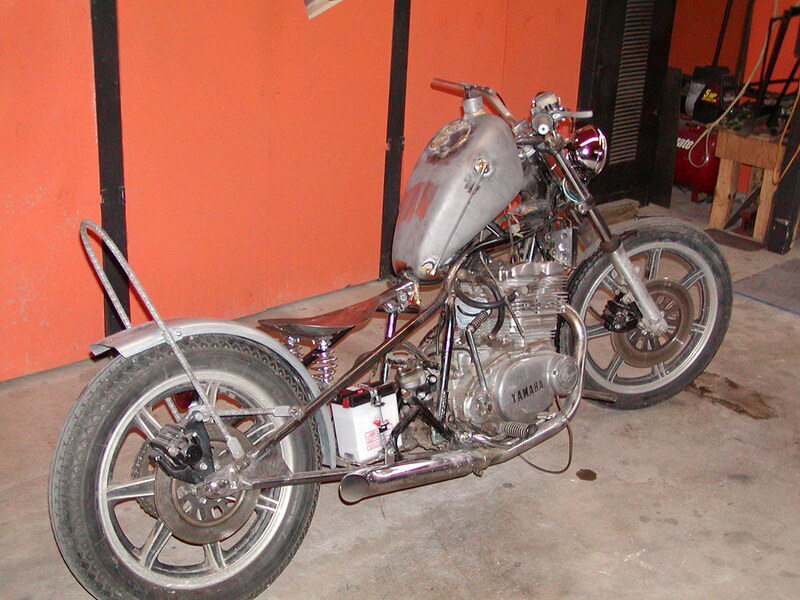 The sissy bar is a piece of rebar I had laying around and the rear fender is a trailer fender. I got it at the local farmer store. I cut it down the middle and took 2 inches out of it before I re-welded it. Once I got everything mocked up I gave it the best paint Wal-Mart had. Yes it is all done out of a rattle can. When it was all said and done the whole project including buying the bike was under 1500 dollars. 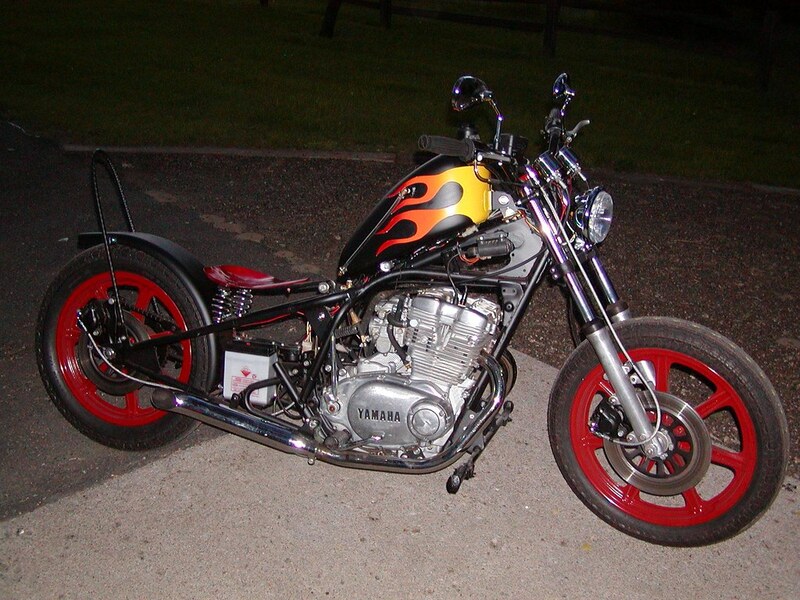 This is my first chopper. The XS500 is a great bike. I hope to ride it for years to come. Enjoy! " 1. the top bars on the hardtail did ya bend them. 2.did ya just follow the line of the bike wit the bottm rails.